Last post i published was about How to make money as a blogger and i also added domain names as one of the requirements. In this post, i will write about how you can buy cheap domains at little or no cost. Following the competitions in the world of websites today, domain companies have brought down the prices of their domains in other to get more customers. This has been a good development to bloggers especially those who has found it difficult to afford domains and hosting. e. Go through their policies, especially ones related to domain name transfers. 1. Namecheap: Just as the name suggests, this domain company was founded in 2000 by Richard Kirkendall. 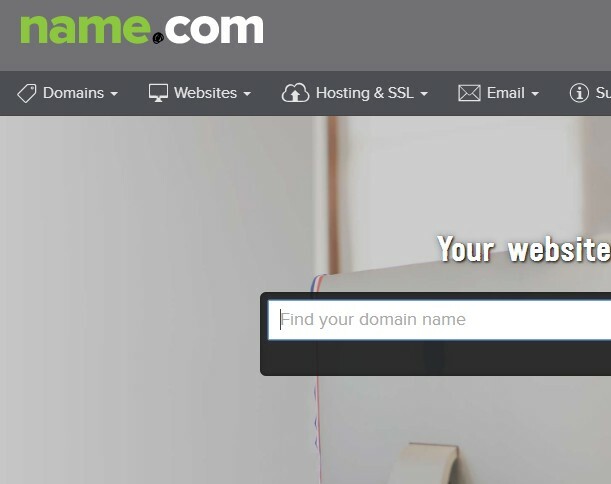 They currently offer domains at $10.69/year for .com domains and $12.88 for their .net domains. Their .org domains goes for $12.48. There is an additional cost of 18¢ for ICANN registration/year. 2. Name.com: Its very popular in the world of domains. It was founded in 2003 and have more than 1.9M domains registered under them. Their .com and .net domains goes for $12.99 and they have other goodies that await their customers. 3. 1and1: This domain domain registrar is still one the cheapest till date. 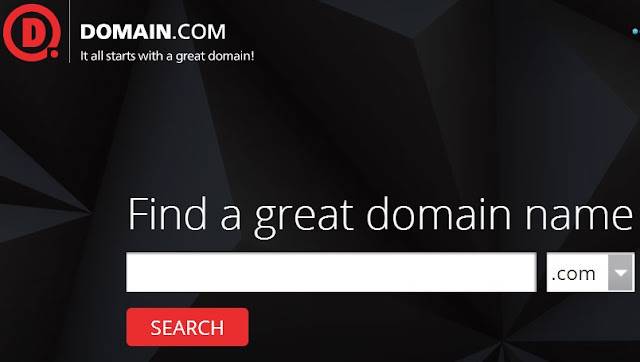 They offer .com and .org domains for only $1.99 but other domain extensions are a bit higher, but remember its just for first timers. This makes them the most affordable in the world. I have bought a domain from them and i highly recommend them. Don't be scared about getting one because they have been there since 1988. 4. Godaddy: Being one of the most popular followed in the game too. 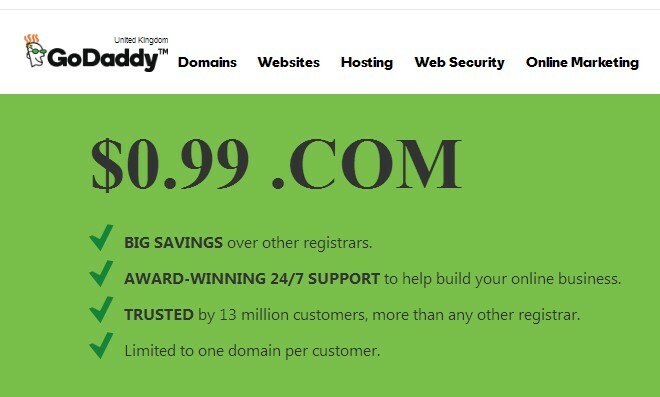 They also offer .com domains at $1.99 while their .net goes for $11.99. Go daddy have won awards and i highly recommend them. 5. Domain.com: This is a very good domain registrar. 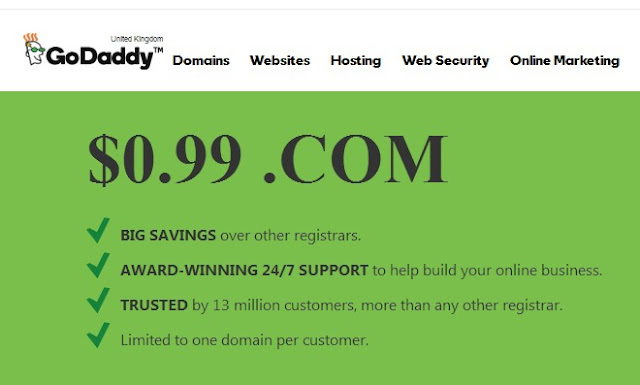 They offer .com domains at $9.99 and .net at $10.99 per year. Their domain privacy costs $8.99 per year and this makes them the most expensive in this list. A free domain is always a Subdomain. What do i mean by subdomain, its simply an Internet domain which is part of a primary domain for example welcome.makemoneyland.com is a subdomain while makemoneyland.com is the domain. Some companies offer free subdomains for example Google's blogspot.com, subdomain.com and many others. But this makes you to be limited so here are the reasons you should not use them. 2. It makes you not to have an identity; when you have your own paid domain its like an identity to you. 4. It doesn't attract advertisers. Advertisers can't work with you easily becuase they believe your free domain can be cancelled at any time.